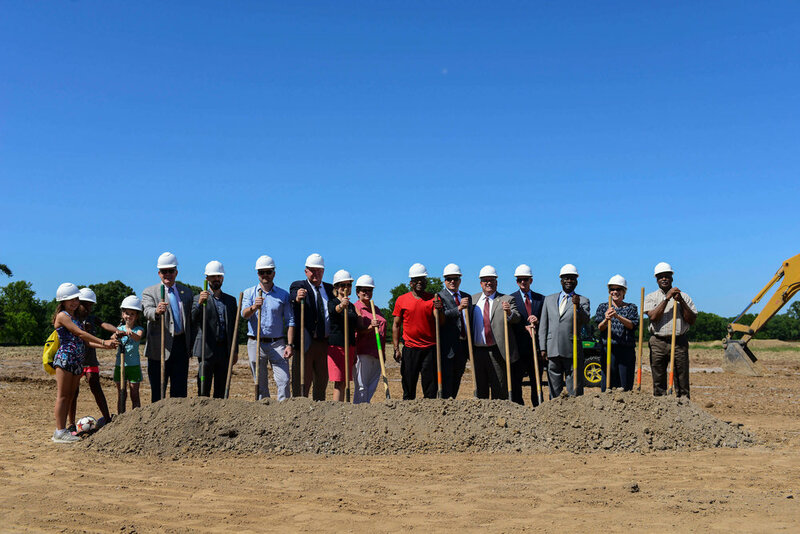 ST. LOUIS, June 6, 2017 – This afternoon in Forest Park, the City of St. Louis and the nonprofit conservancy Forest Park Forever hosted a groundbreaking ceremony for major improvements coming to the Park’s Central Fields. 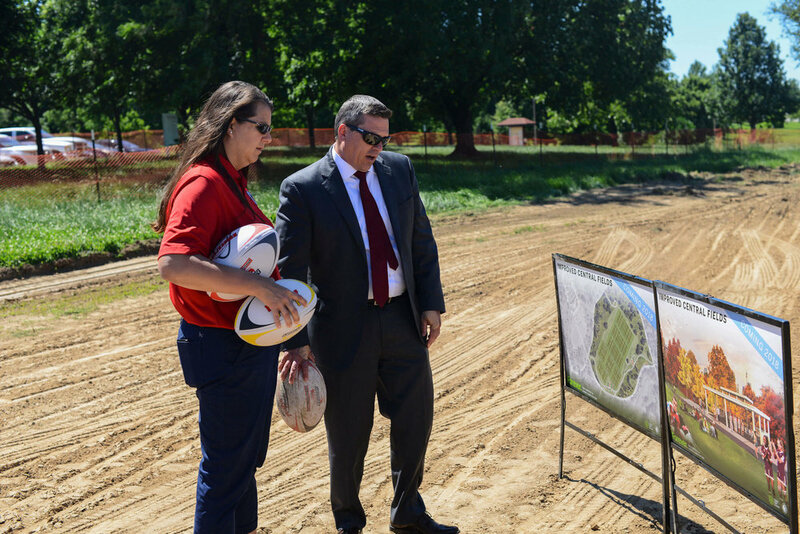 As part of the current multi-year phase of capital improvement projects in Forest Park, Central Fields is being rebuilt and enhanced during 2017 and 2018. This project originates in the 1995 Forest Park Master Plan, the document that continues to guide the Park’s significant restoration efforts. Central Fields is one of the most heavily used spaces in the Park — and one of the largest. At nearly 30 acres, it is the size of about 23 football fields; larger than Union Station; and larger than Busch Stadium, Ballpark Village and its parking. Central Fields is home to major annual events like the Great Forest Park Balloon Race and LouFest. Accommodations are being made to host those popular fall events elsewhere in the Park during 2017, with the Balloon Glow and Race moving to Art Hill and LouFest moving to the Festival & Parking Plaza at the Upper Muny. 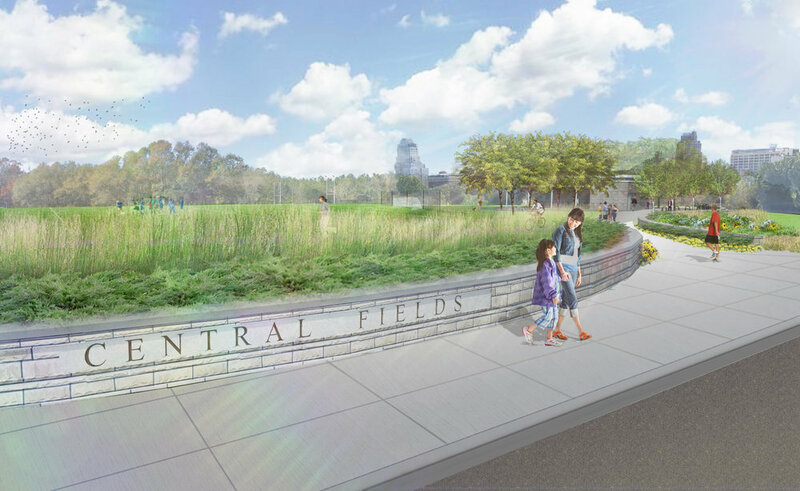 Central Fields has also long been home to competitive sports like soccer, rugby and softball. 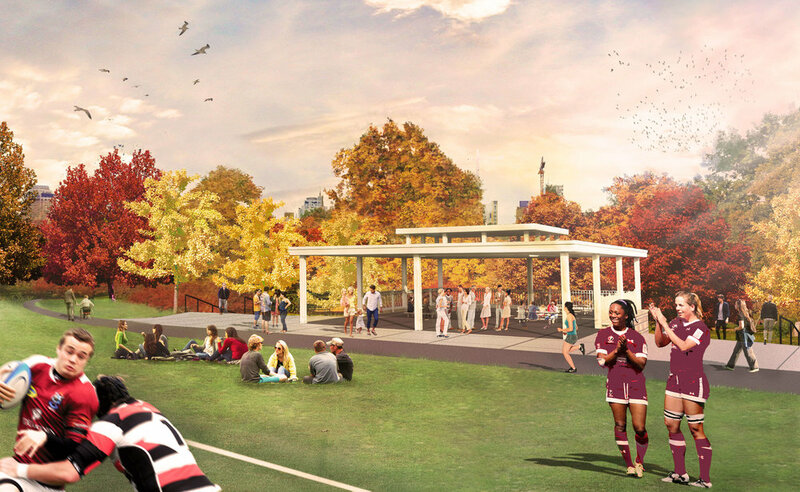 As part of this project and softball will move to Forest Park’s Boeing Aviation Field (already home to baseball), while Central Fields is reconfigured to host rugby and soccer. 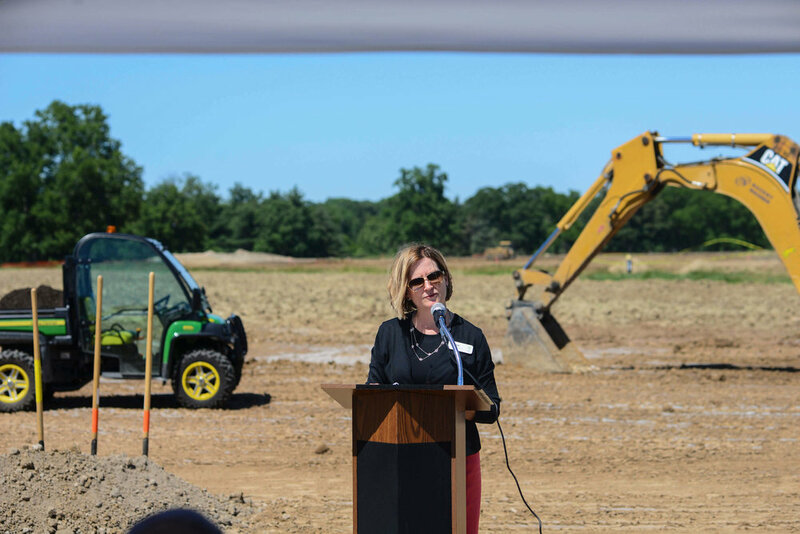 This $5.8 million project has been funded primarily by private donations to Forest Park Forever’s special Forever capital campaign, with additional funds provided by the City of St. Louis. 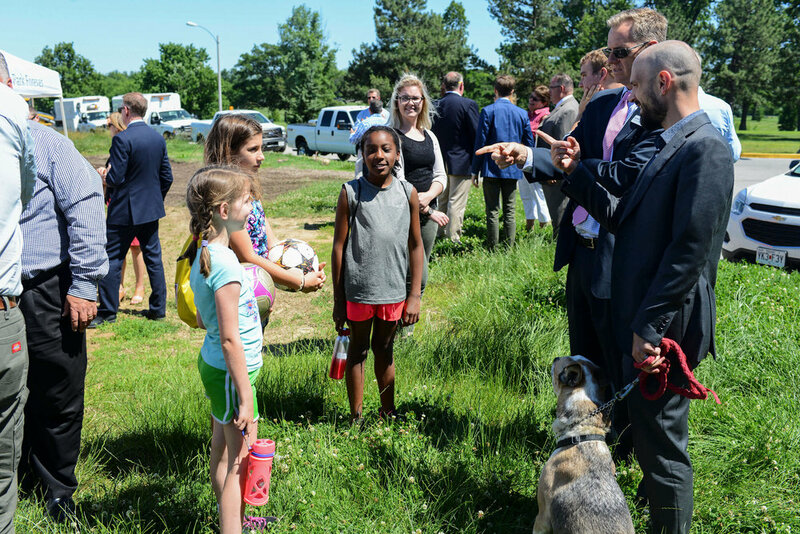 Forest Park Forever is grateful to Emerson for providing the lead gift that has helped make this major Park improvement project possible. Learn more about the most ambitious fundraising campaign in the Park’s history at theforevercampaign.org. 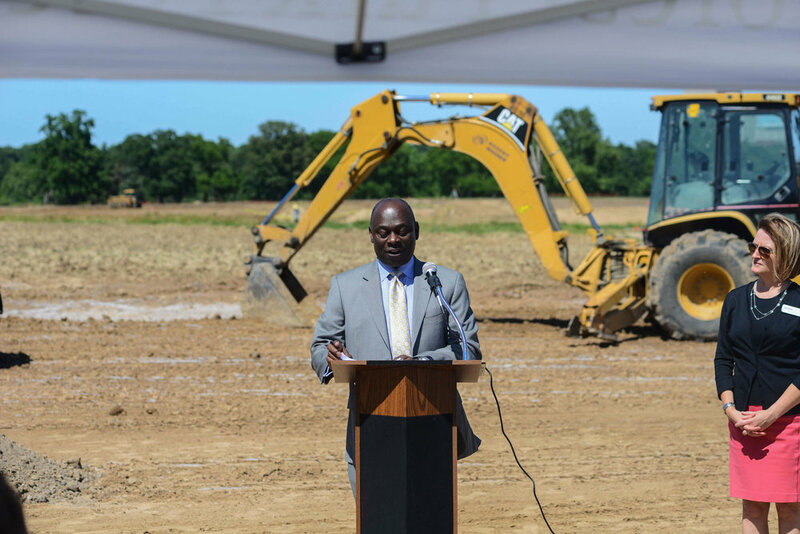 The groundbreaking ceremony featured remarks from Director of Parks, Recreation & Forestry for the City of St. Louis Greg Hayes; Board of Public Service President Rich Bradley; Forest Park Forever President & Executive Director Lesley S. Hoffarth P.E. ; Forest Park Forever Board of Directors member Larry Thomas; and Emerson Vice President of Corporate Social Responsibility David Rabe. 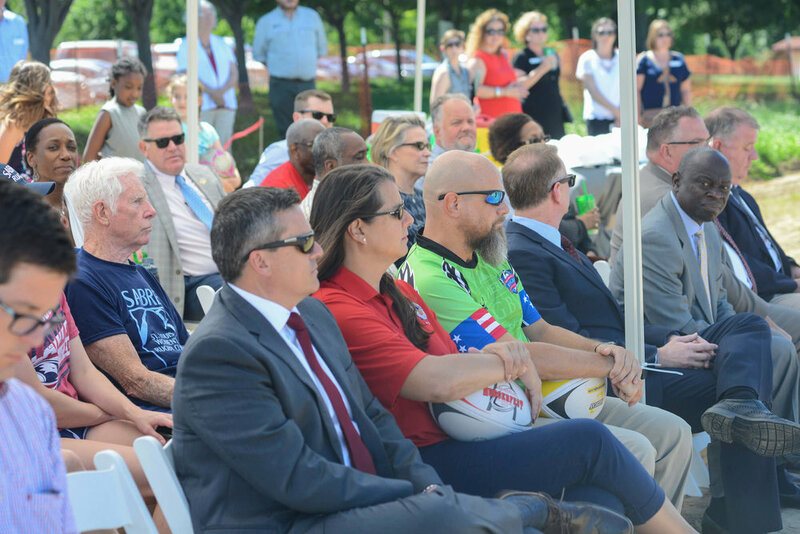 Following the remarks, there was a special ribbon-cutting featuring representatives from groups that use this popular space, including the Great Forest Park Balloon Glow and Race, LouFest, PeaceFest, the St. Louis Ramblers Rugby crew and soccer players from nearby St. Roch School.